What is the full band line-up, who sings and who plays which instrument? How and when did the band form? The Gallery consist of Matthew Rees (vox), Sam Hawcroft (bass guitar and vox), Joe Anderson-Smith (guitar) and Ben Whiteley (drums). Brought together with our complete boredom and distaste for pretty indie bands of recent years, our group formed in a baron summer after leaving high school. We began creating a sound that stood out and would connect disenfranchised teens like ourselves; starting a new movement in the indie-punk scene and putting live rock on the map. After a run of successful Leeds sell out shows we were faced with the choice of playing into the ground in their hometown or starting from scratch and building a national fan base with an entirely new sound. We decided to organise a headline UK tour, venturing as far a field as London and Tunbridge Wells. Overwhelmed by the response show by show, we knew they needed to grow in size to deliver the same experience that those 20 people experienced show by show on their first tour, and solidify the movement nationwide. Matthew, Ben and Joe have been friends since the age of 6 and grew up together in Wakefield. They met Sam in high school and have been as close as friends can get ever since. The band have completed two UK headline tours including multiple sell out shows in Leeds and Nottingham. 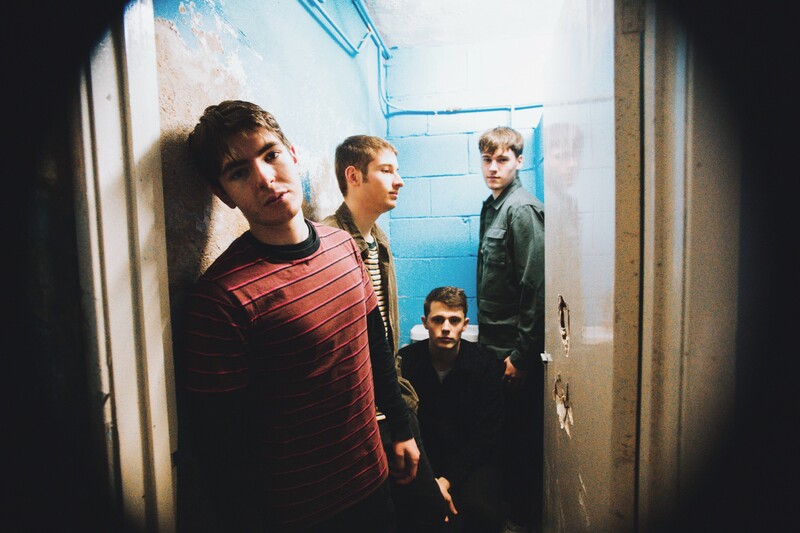 We have played with well established emerging artists such as The Academic and Pretty Vicious and have played major festivals such as Kendal Calling 2018 and Live at Leeds. The Gallery have a completely different attitude and bluntness. We don’t sing about fake love stories, nights out or cliche narratives. We contend with real issues, play heavy hooks and create chaotic and destructive live performances. This focused and cutthroat approach sets us apart from the convoluted and repetitive ‘indie’ heard of recent.